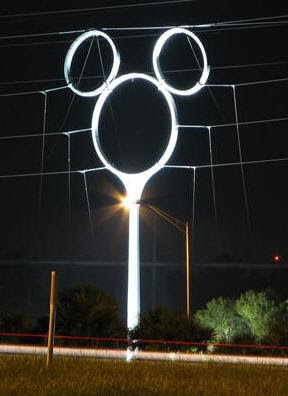 Everytime I drive past this at 6AM on the way to Tampa, I want to veer off and go directly to the Magic Kingdom. I could spend days in there riding the same stuff over and over. Maybe when I am finally declared insane, I can do just that. It is unbelievable hot and humid here in Tampa today. I feel like a hot wet cotton ball. Other than the weather, I am in the groove. I am zipping through stuff here and I will have accomplished everything I wanted to and more by the time we drive off. It feels good when things just click. Tomorrow at 11:45, the plane takes off and I head home. I am ready but I will miss coming to Tampa now that they are closed. This is a great area and my work connection to here will be lost. Adeiu, auf weiderschen, gesundheit, farewell Tampa. It has been a fun ride.